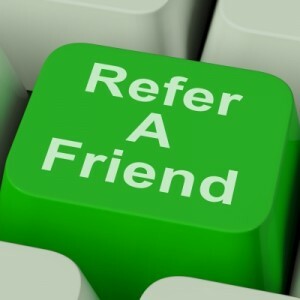 When to ask for Referrals? It’s a question we’ve all think about at some point. The process is typically initiated by the following questions or those like them. “How do I ask for a referral? How can I get more referrals from my customers? How can I get my team to ask for more referrals, etc?” All of these questions eventually lead to development of the implementation of systems of handling referrals. However, whether those systems are low-tech or high-tech really doesn’t matter if you don’t know when to appropriately ask for a referral. Listed below are six appropriate times that lead to gaining more referrals. Use these situations as triggers to prompt you and your team to ask for referrals. By using these 6 situations as triggers to ask for referrals will without a doubt lead to more referrals for your brand, company, and service.